and the impact that they have had and have on our culture and experiences. Together we’ll travel the world throughout time and space to uncover tales, facts, people and objects that have shaped our everyday lives in ways we may not have realised. Creativity and food have been long intertwined. I love to research and explore new and favourite ingredients and in turn find inspiration in them. Idiscovered that there was so much that I had assumed about fruits and vegetables that was not true. 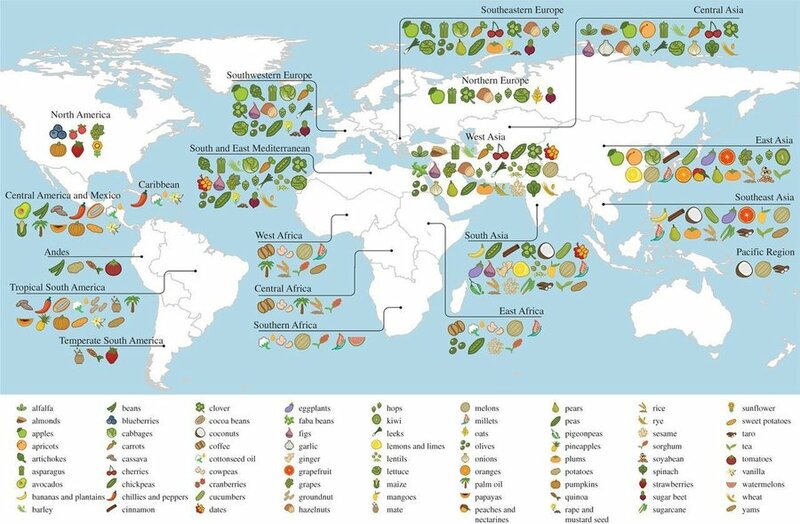 I love how the history of fruits and vegetables have their own provenance, stories and mysteries; how they adapted and travelled the world to become the ingredients that we know today. Just as with artefacts found in the historic record, it is the same with foods, from one story or item a wealth of information can unfold. Food, art and history have had the human hand print of design stamped upon them. The correlation is that food, art and history imprint themselves upon us. We all have memories of a specific eating experience, locations we associate with certain foods that the mere mention of bring about the taste in our mouth. There are foods that come in and out of fashion from era to era as well as foods that come in and out of favour to ourselves within our own lives. We all have favourite items and interests with memories attached to them, cups, cutlery, tools, paintings, photographs and stories that we hold on to, a type of synasthesia if you will: a sensation produced in one modality when a stimulus is applied to another modality. A few years back I decided to bundle all my interests together and rebrand from Smy Chutney to Smy Goodness so that all my preserves, crafts, products and workshops could live together in one place. My own podcast seemed a suitable place to uncover, understand and enjoy things related to food, art, history and design. Please do share your stories, knowledge, questions and suggestions. 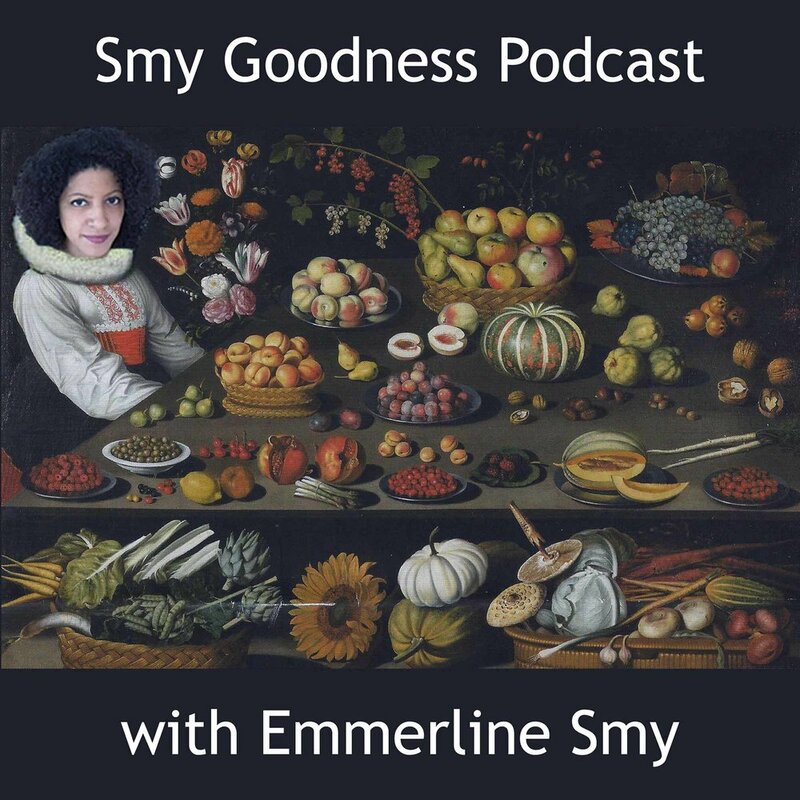 In the Smy Goodness.com podcast section you will find the podcasts and all the items that we are discussing and will have ongoing discussions about each week. You can also follow Smy Goodness on Instagram, Twitter, Facebook and Tumblr. I'd like to thank Matteo Borea for creating the music and Ashley Palmer for assisting with recording gear and queries. Thank you for listening. From my old Children's History Encyclopaedia - I stared at this for hours and put myself in the shoes of each person in the photo. A small section of the Dubin's Histoy of Beading map that has been so influential to me. Khoury CK; Achicanoy HA; Bjorkman AD; Navarro-Racines C; Guarino L; Flores Palacios X; Engels JMM; Wiersema JH; Dempewolf H; Sotelo, S; Ramírez-Villegas J; Castañeda-Álvarez NP; Fowler C; Jarvis A; Rieseberg LH; Struik PC. 2016. Origins and primary regions of diversity of agricultural crops. CIAT Infographic. Cali, Colombia: International Center for Tropical Agriculture (CIAT). Khoury and associates are furthering the fascinating and tragic work ofRussian botanist and geneticist Nikolai Vavilov (1887-1943) who was committed to the study of the origins of cultivated plants.